Book review: “SUMMER of LOVE” by Lisa Mason IS A TRIP! I guess you could say this is a retro review, although I just learned of this book because of a “Time Travel” package offered recently by a website called “Storybundle,” which does packages of multiple “indie” ebooks and offers them for either a low price or even a “pay what you wish” price. (Unfortunately for you, that particular package, which included books by Hugo Award-nominated Kevin J. Anderson, New York Times Notable Book author Lisa Mason, USA Today bestselling author Kristine Kathryn Rusch, and many others, plus a bonus issue of Lightspeed Magazine (see Figure 5), is no longer being offered. However, Lisa Mason is offering a bundle on Summer of Love and its sequel, The Gilded Age, for 40% off the cover price. Check it out after you read my review, okay?) 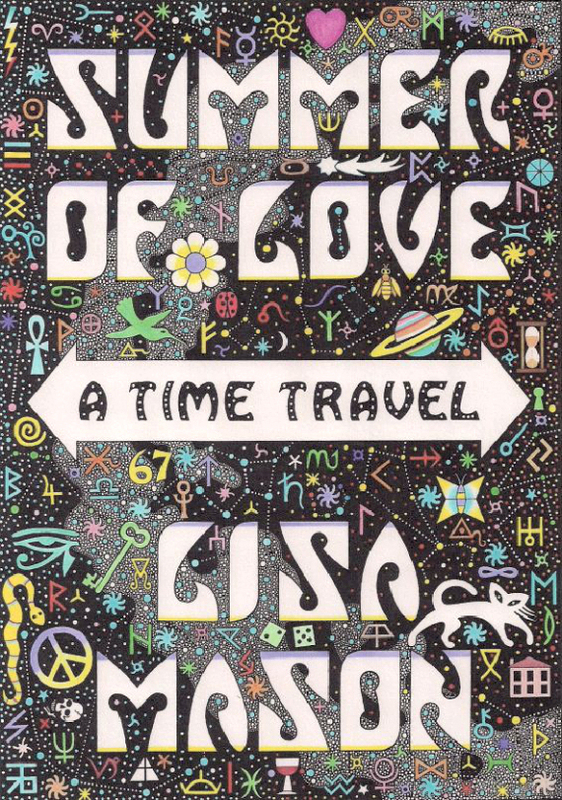 Anyway, I’ve been familiar with Lisa’s face (thanks to Facebook) but had never read any of her work until I picked up the “Time Travel” bundle, mainly because we’re only two years from the 50th anniversary of the aforementioned “Summer of Love”! No, not the book, the event. What was the Summer of Love? To answer that question—before we get into the eponymous book, we must go back almost half a century to 1967, when the world…er, I was young. Younger, that is. I’m still young, if you ignore my aging body and my increasing tendency towards “crotchety.” (I’m nowhere near as crotchety as David Gerrold, who has started yelling “You kids get off my lawn!” a lot. 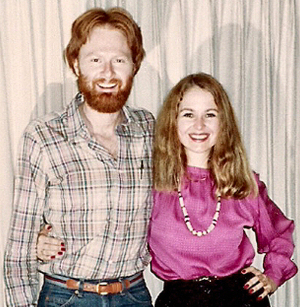 I didn’t meet David until almost ten years later, however. But I digress.) 1966 was—probably because it was my first year there—the best year for San Francisco’s Haight-Ashbury district, the epicentre of American hippiedom—at least according to the media. 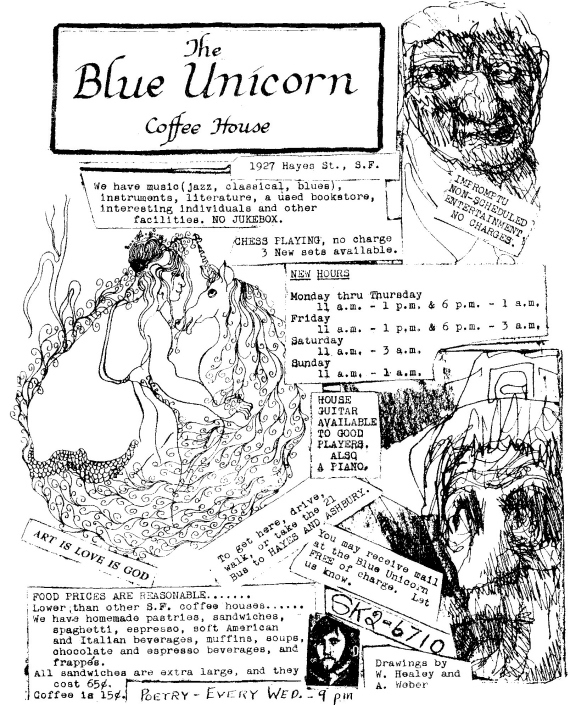 (Seattle, a year or two earlier, had its own hippies, called “Fringies,” because they hung around the fringes of the “U District,” (the University of Washington)… but then “hippie” caught on and the fringies were subsumed. But The Man (sometimes cops, sometimes your parents, basically any authority figure) wanted to bring you down. Lots of slang came out of the hippie movement; we “grokked” (thanks to Robert A. Heinlein’s Stranger in a Strange Land), “tripped out,” “grooved,” “turned on (took drugs)” and so on. 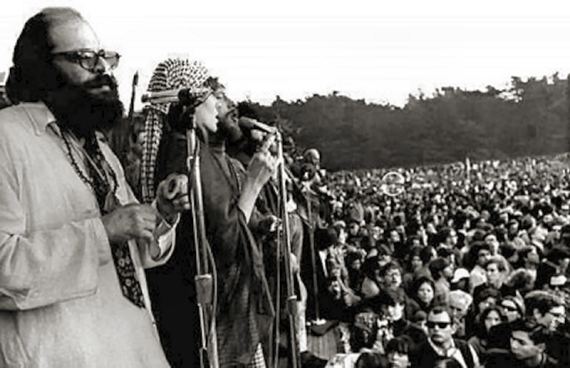 Peace and Love were the watchwords; even The Beatles told us—with the first worldwide TV broadcast—that “All You Need is Love,” several months after the Great Be-In in San Francisco’s Golden Gate Park, where—on January 15, 1967—between 20,000 and 30,000 (estimates vary) young people, myself included, got together to smoke pot, dance around with our peers, listen to a lot of pontificating, and sneer at the few dozen “narcs” who attempted to monitor our “thing.” (A narc is, in case you’ve not heard the term, a narcotics officer, usually underground so “they can bust you, man.”) It was there that Timothy Leary, standing with poet Lenore Kandel, beat poet Alan Ginsberg and a few more dignitaries (Figure 6), told us to “Turn on, tune in, and drop out” for the first time. So on the Summer Solstice, June 21, 1967, the so-called Summer of Love, according to the media the height of hippiedom—expected to bring a million or more runaway “teenyboppers” to San Francisco—began. And so begins Lisa’s book. With chapter headings straight out of popular music—ranging from “She’s Leaving Home” by The Beatles, “Foxy Lady,” by Jimi Hendrix, to “San Francisco (Be Sure to Wear Some Flowers in Your Hair)” by Scott McKenzie—and characters straight out of Middle America and the best and worst San Francisco had to offer in 1967. “Starbright,” (real name something like Susan Baker) has just stepped off the bus from Cleveland; she has run away from home at 14 years old to find her best friend “Penny Lane” (real name Nance Payne), who has sent her a postcard after her own departure from home. Daddy is a dentist, mommy someone who disapproves of her daughter growing curves like a woman. Starbright has come to seek freedom and her own identity. She hooks up almost immediately with Stan the Man (not The Man), Professor Zoom, Gorgon and Ruby A. Maverick, a beautiful, tall half-Black woman who owns a “magic shoppe” store called The Mystic Eye, at the Solstice celebration, and quickly falls into a relationship with Stan. She has her first, inadvertent, acid trip. She meets Chi (“Chiron Cat’s-Eye in Draco”), a strange young man with very white skin and long red head hair. We, the reader, know that Chi is a traveler from several hundred years in the future, but nobody else does. He has come to ensure that the future actually happens; the Summer of Love is a “Hot Dim Spot” in time; there are D.E.M.O.N.S. (“Devolved Entities Manifested from the Other Now”) to avoid and a girl, the Axis, to find. If Chi can ensure her safety, see her leave San Francisco, he can return to his time at the proper time. Is Starbright the Axis? He doesn’t know, so he must search for the girl in a fuzzy holo clip who was filmed behind newscaster Harry Reasoner in 1967—records have been lost, and there is no surety that she is the Axis. Mason digs you deep into the culture of the Summer of Love; you learn about the highs and lows of hippie life through Susan’s, Ruby’s and Chi’s eyes; you get an unjaundiced look at what the everpresent drugs do to people who are supposed to be there to “break free” of society, and how the clashes of cultures can affect those caught up in them… there is an everpresent paranoia about the possibility of a black revolution—led by East Bay Black Panthers from the ghettos of Oakland—or of a suppression movement by The Man, who might be Coming to Take You Away to a concentration camp, and so on. 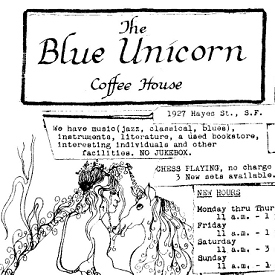 The scene is highlighted by music by such real bands as The Quicksilver Messenger Service, The Grateful Dead and The Jefferson Airplane, and imaginary bands like the Double Barrel Boogie Band; the locale ranges from Haight Street to the Morningstar Ranch—a hippie hangout and commune near Sebastopol in Sonoma County, half an hour north of San Francisco, to Marin County (just north of the Golden Gate Bridge) to Herb Jaeger’s late Blue Unicorn Cafe on Hayes Street, to Bill Graham’s Fillmore Auditorium. Mason turns an unblinking and unbiased eye upon the dreams and excesses of the hippie era; whether Starbright finds her friend Penny Lane, whether Ruby’s longing to escape what she sees as an increasingly dead-ended area being destroyed by the newcomers happens, and whether Chi is finally able to guarantee the survival of the future I will leave up in the air for now. Normally, I would tell you to skip the next section and write a spoiler review, but I don’t think I’ll do so today. I’m kind of a Blue Meanie sometimes. Any comment on this week’s column is appreciated, whether here, or on my Facebook page, or in the several Facebook groups where I publish a link to this column. I might not agree with your comments, but they’re all welcome. Please don’t feel you have to agree with me to post a comment; my opinion is, as always, my own, and doesn’t necessarily reflect the views of Amazing Stories or its owners, editors, publishers or other bloggers. See you next week, I hope! One thought on "Book review: “SUMMER of LOVE” by Lisa Mason IS A TRIP!"